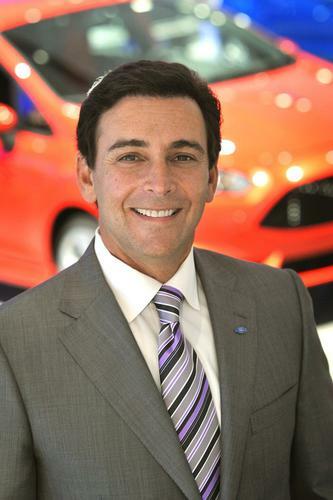 The tech and automotive industries continue to grow more intertwined: Ford CEO Mark Fields will announce on Thursday that Ford is opening a research and innovation center in Palo Alto. The company has been in the Valley since it put ten people there in 2012 to work on big data and open source, Automotive News reports. Ford had a big presence at CES earlier this month, where it talked up autonomous vehicle tech. Larry Ellison launched new Oracle systems on Wednesday that he claims will be the cheapest on the market -- a big change for a company that's charged a premium for performance in the past. And it's effectively an admission that Cisco and EMC may have read the market better: Pricing has sometimes been an "impediment" for customers, Ellison said. The three are competing with systems that combine servers, storage, network and software. Despite the companies' denials, Samsung Electronics is still interested in acquiring Blackberry, Canada's Financial Post reports. The newspaper got hold of a document prepared for Samsung by an investment bank suggesting that Samsung offer between US$13.35 and $15.49 per share, valuing Blackberry between $7 billion and $8 billion (BlackBerry shares closed Wednesday at $9.93). Early impressions from the Big Day in Redmond Wednesday are positive, with industry analysts predicting solid take-up for the next generation Windows OS from both enterprise and consumer customers. Demos focused on the voice-activated Cortana digital assistant and an app model that runs across PCs, tablets and smartphones. That, plus some way cool holographic stuff. Google is getting ready to resell wireless service directly to consumers via deals it's made with Sprint and T-Mobile US, the Wall Street Journal reports, citing unnamed sources. The move would shake up the competitive picture in the mobile telecom space and could mean better prices and service for customers. Federal prosecutors seeking to prove in a Manhattan court that Ross Ulbricht is Dread Pirate Roberts, the anonymous mastermind who ran the Silk Road online market, strengthened their case with chat logs and private journals Wednesday. They introduced computer files that appear to show the laptop Ulbricht was using at the time of his arrest was also used to manage the Silk Road during 2011 and 2012. Amazon abruptly pulled out of the mobile payments space just six months after launching the Wallet app in beta. Its functionality never went beyond serving as a place to store gift, loyalty and reward cards to also store credit or debit cards, so had not really stepped up to competitors Google Wallet or Apple Pay. It also came out on Wednesday that Amazon has pulled its own-brand diapers off the market, citing design flaws. Time to tighten focus? Did you miss Microsoft's big launch even on Wednesday? Catch up in two minutes right here. Facebook may have opened a Pandora's box in its attempt to fix the problem of phony stories in your news feed. Some think its solution could raise big problems. Tags MicrosoftinternetOracleBlackberrybusiness issuesGoogleFacebooksoftwarehardware systemsconsumer electronicsindustry verticalsamazon.comSamsung ElectronicsFord Motor Co.